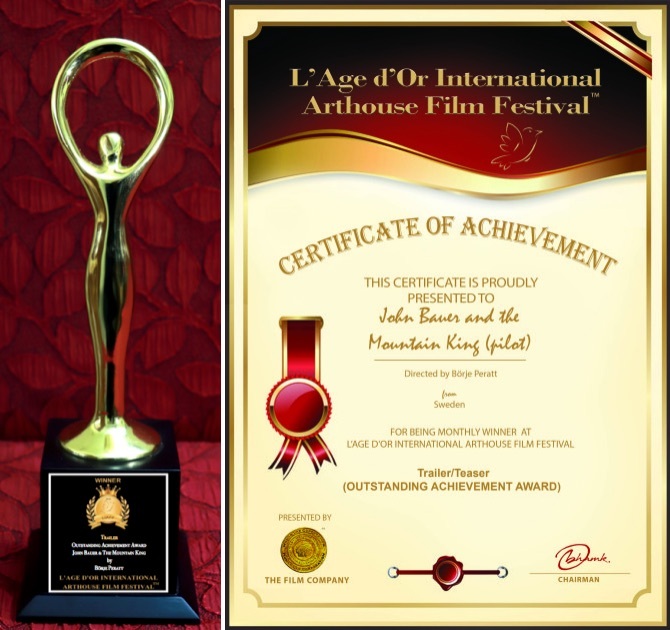 at L’Age d’Or International Arthouse Film Festival (LIAFF). Draupner was forged by the dwarven brothers Brokkr and Eitri. Brokkr and Eitri made this ring as one of a set of three gifts which included Mjöllner and Gullinbursti. They made these gifts in accordance with a wager Loki made saying that Brokk and Eitri could not make better gifts than the three made by the Sons of Ivaldi. In the end, Mjöllner, Thor’s hammer, won the contest for Brokkr and Eitri. Loki used a loophole to get out of the wager for his head. The wager was for Loki’s head only, but he argued that, to remove his head, they would have to injure his neck, which was not in the bargain. In Old Norse texts, Odin is described as one-eyed and long-bearded, frequently wielding a spear named Gungnir, and wearing a cloak and a broad hat. Odin also has two ravens Hugin (Old Norse for “thought“) & Munin (Old Norse for “memory” or “mind“) that fly all over the world to document what they see and bring him stories. Valhalla has inspired various works of art, publication titles, popular culture references, and has become a term synonymous with a martial (or otherwise) hall of the chosen dead.